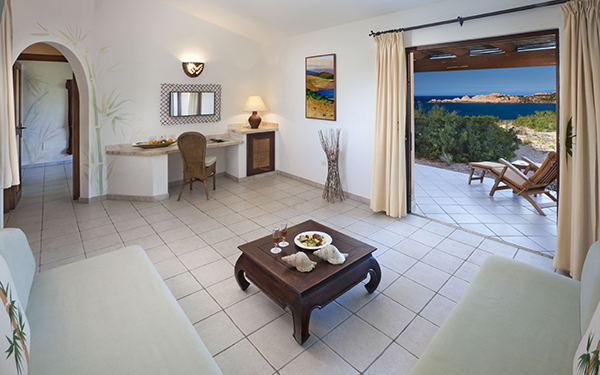 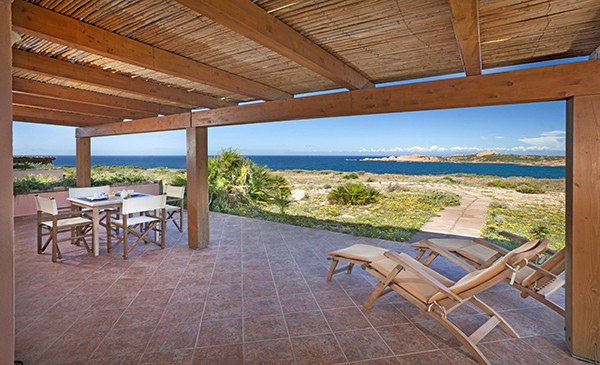 Torreruja is, first and foremost, a welcoming hotel for those who love the sea. 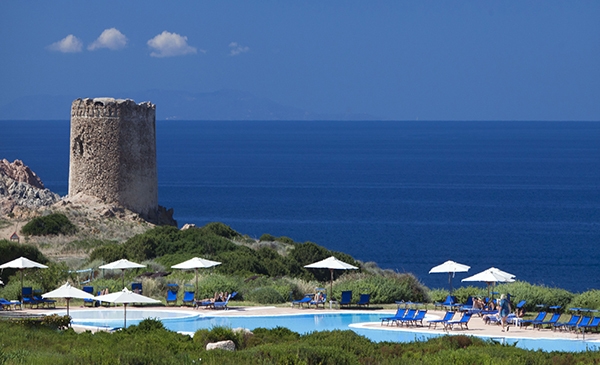 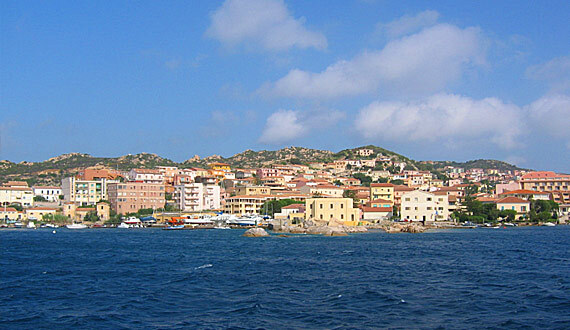 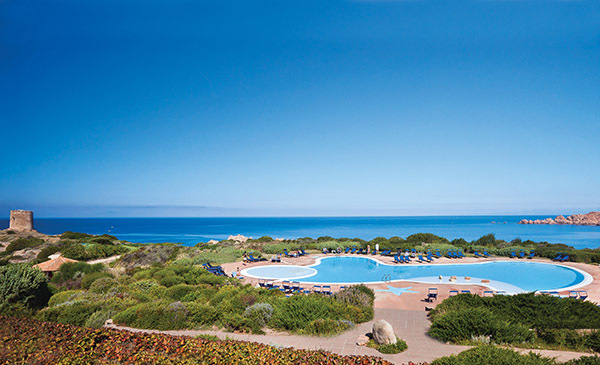 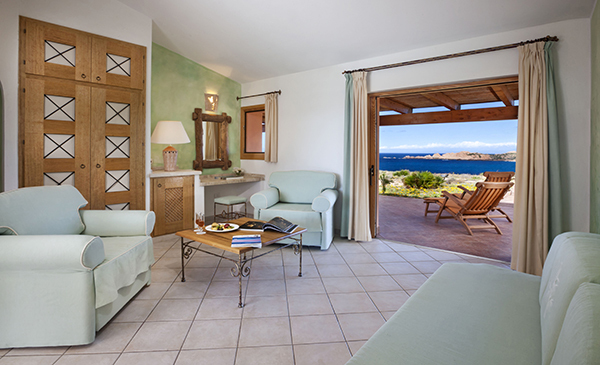 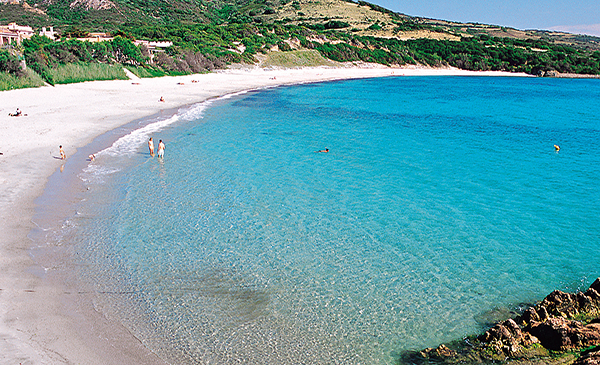 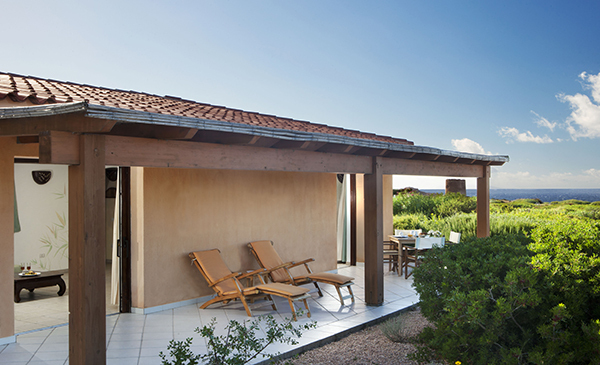 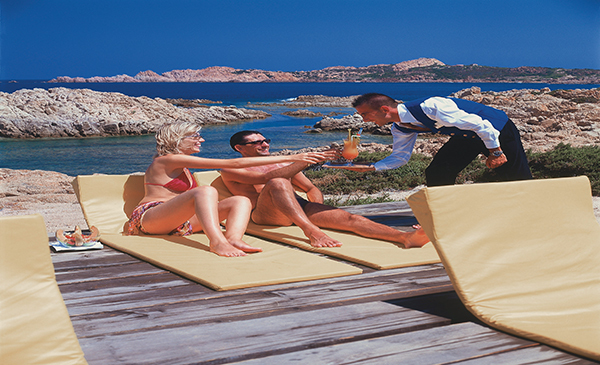 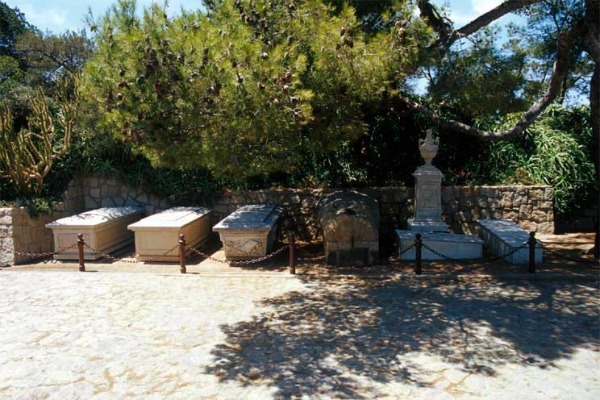 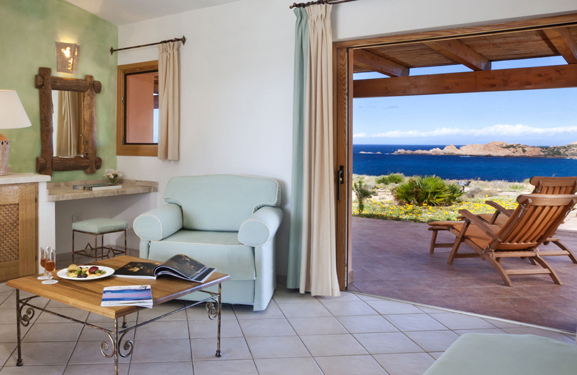 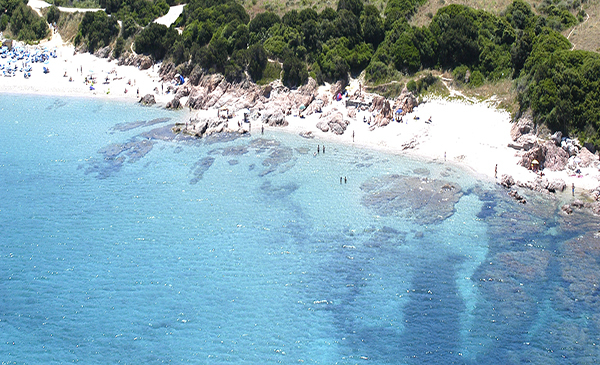 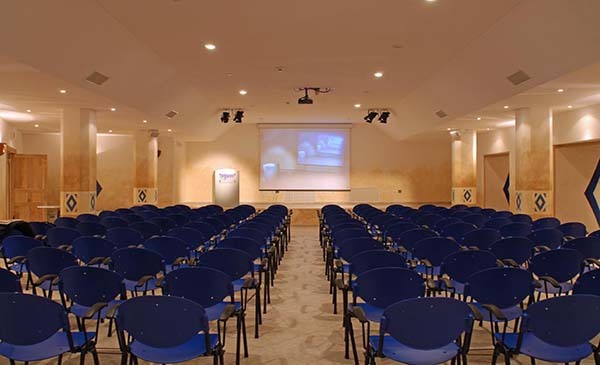 Located in one of the most charming places in Sardinia, this hotel offers guests the possibility to choose between a sea water swimming pool and three beaches; the beach on the ‘red island’ which is 200m away, the coves in the red rocks, which are right under the hotel, and the free beach of Marinedda, which is 800m away. 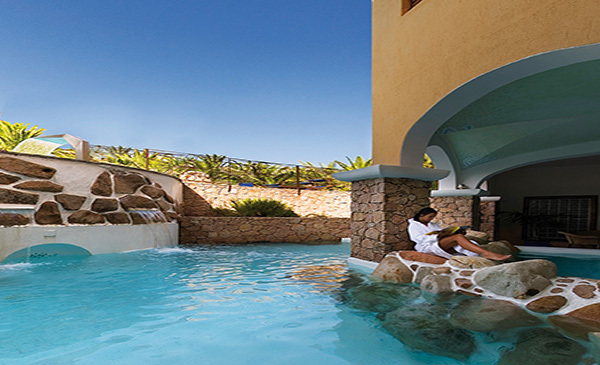 Inside the hotel, life is carried out calmly and at a slow pace amongst luxurious rooms, top quality restaurants, various facilities, a spa and swimming pools, including a children’s pool. 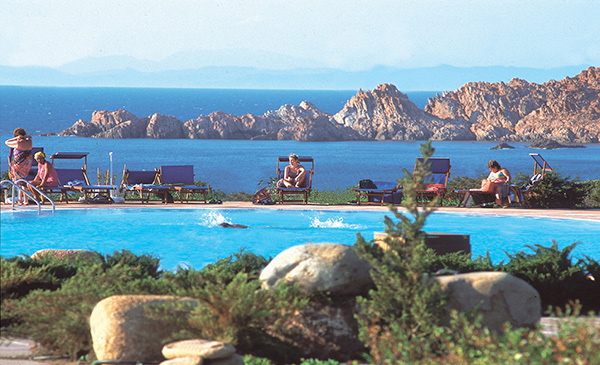 The heart of the Thalasso & Spa Venere is the heated sea water swimming pool because it is completely in harmony with the sea; in fact the whole property, and not just the spa, is centred around this. 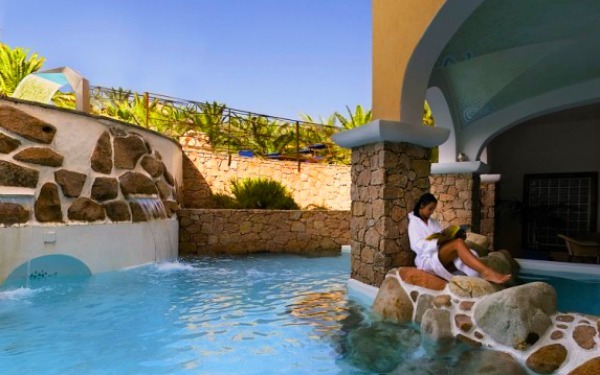 The spa boasts many other facilities and services, including the sauna, Turkish bath, fresh water hydromassage tub, gym, tea corner, relaxation area and numerous booths where massages and aesthetic treatments are carried out. 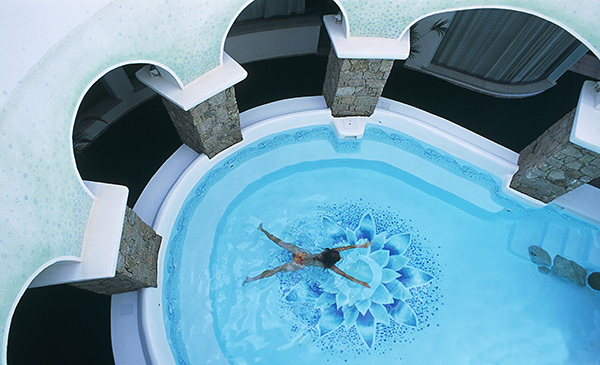 The three main treatments performed that make use of sea and thermae water are hydrogymnastics, hydromassage and Spa Jet techniques. 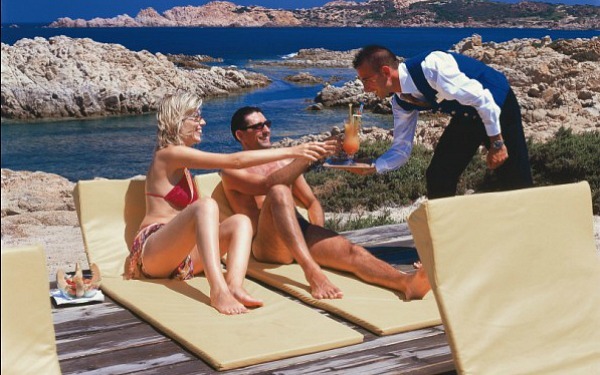 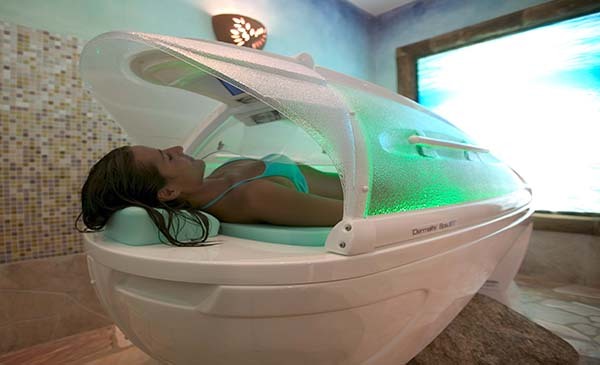 Other services include well-being packages such as Thalasso Special Discovery, Check In & Check Out, Relaxation Man, Well-being of the Back, Thalasso & Spa, Sardinia Sea Beauty, Male Beauty, Light Legs and Expecting Mother Venere. 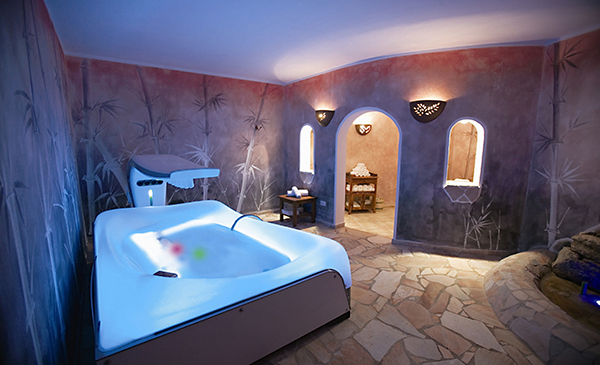 Guests can also choose from single treatments, from scrubs to hydrotherapy treatments such as seaweed and mud wraps or hydromassage baths, and aesthetic face and body treatments, massages and fitness sessions. 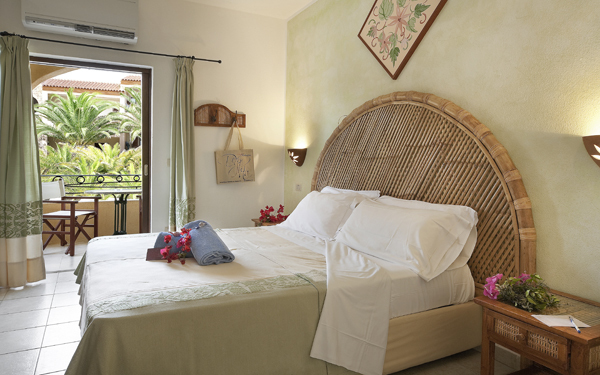 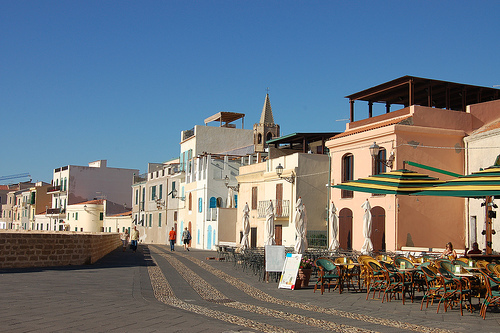 The 124 rooms at the hotel are decorated in a Mediterranean style and all of them have a furnished terrace, air conditioning, satellite television, a safe box, mini bar and beach towels. 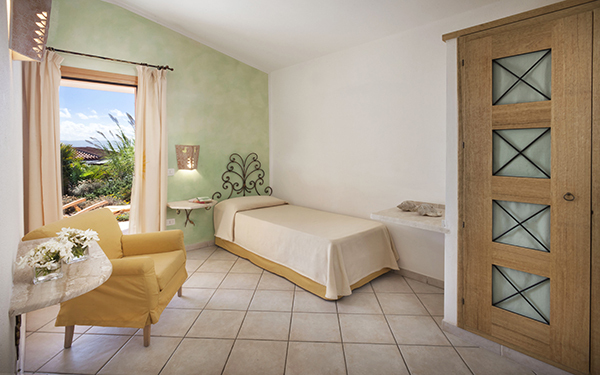 The rooms are divided into the following categories: standard, superior, superior special with a hydromassage bathtub and shower, deluxe, gran relax, relax family, relax family special with two bathrooms, suites, master suite and president sea view suite. 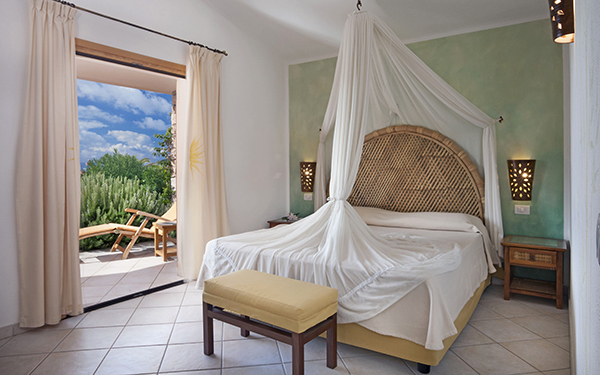 The Torreruja also boasts 5 special villas called Li Lisandri, Li Tamarici, Li Jazi, L’Alioni and Gli Olivastri, and these are independent properties that have a kitchen, dishwasher, patio and a barbeque on the large veranda. 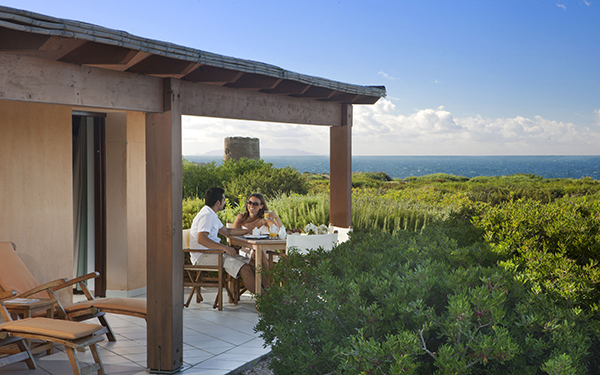 Breakfast is served as a buffet here, whilst for lunch guests can enjoy a Mediterranean based light buffet. 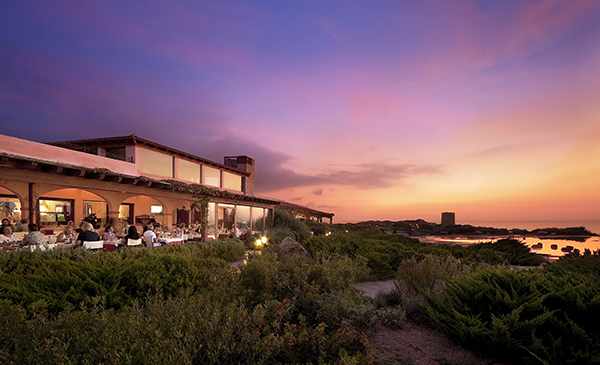 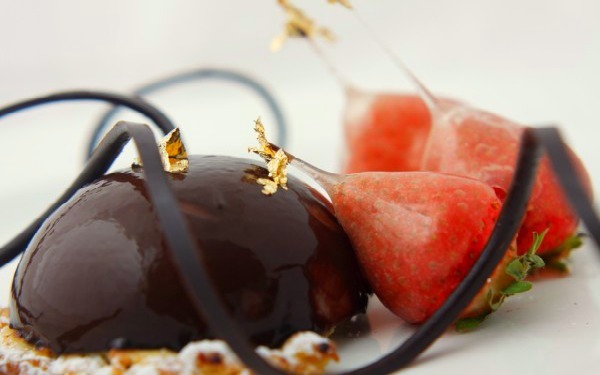 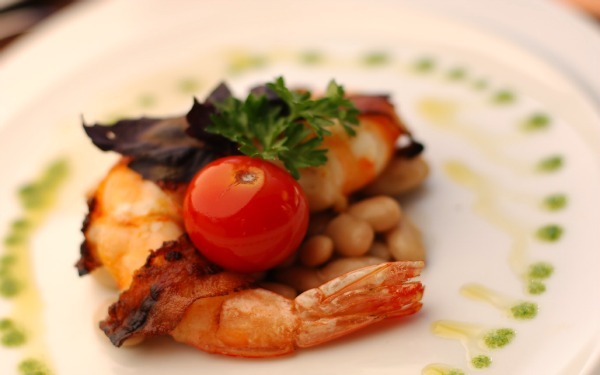 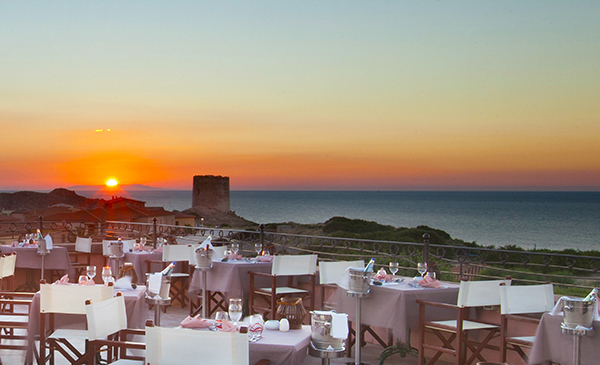 For dinner, guests can choose from two options: the Tramonto Rosso restaurant, which serves up a Mediterranean and regional inspired buffet and where the chefs cook in front of guests; or the panoramic terrace at the Sotto Le Stelle table service restaurant (at an extra cost).